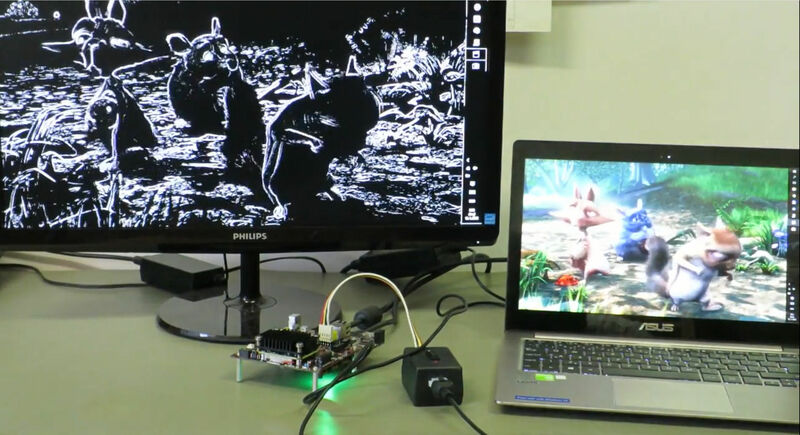 There is growing momentum for Multi-Processor System on chips (MPSoC) to be used as highly adaptive and efficient accelerators for machine vision and image processing applications. Such systems are composed of multi-architecture solutions and may include a conventional Processing Unit and Field-Programmable Gate Arrays (FPGA) connected via a high-speed BUS. More advanced MPSoCs have Graphics Processing Unit (GPU) and Real-Time Processing Unit like the Xilinx Zynq UltraScale+ series. Academics, researchers, PhD students and industrialist interested in the acceleration of machine vision, machine learning and image processing algorithms, are invited to a one-day workshop on “Energy Efficient Embedded Machine Vision” with FPGAs. This workshop is fully funded by the Higher Education Innovation Fellowship (HEIF) Impact fellowships at Sheffield Hallam University and supported by Sundance Multiprocessor Technology (Sundance) and Xilinx University Program (XUP). The day will start with an overview of embedded computer vision systems implemented on general purpose CPUs, GPUs, FPGAs and ASICs. Specific implementation details of real world applications like Automatic Number Plate Recognition (ANPR) and moving object detection on FPGAs will also be presented. Concrete decisions on how to implement deep learning or convolutional neural networks for machine vision systems will also be discussed. The day will end with a hands-on session which will introduce participants to the Xilinx SDx development environment using a typical image processing algorithm as a case study. The hands-on session will target Sundance’s well-engineered platform (EMC2) with the right combination of parallel and sequential processors, as well as the TULIPP design toolchain which targets for low-power image processing applications.